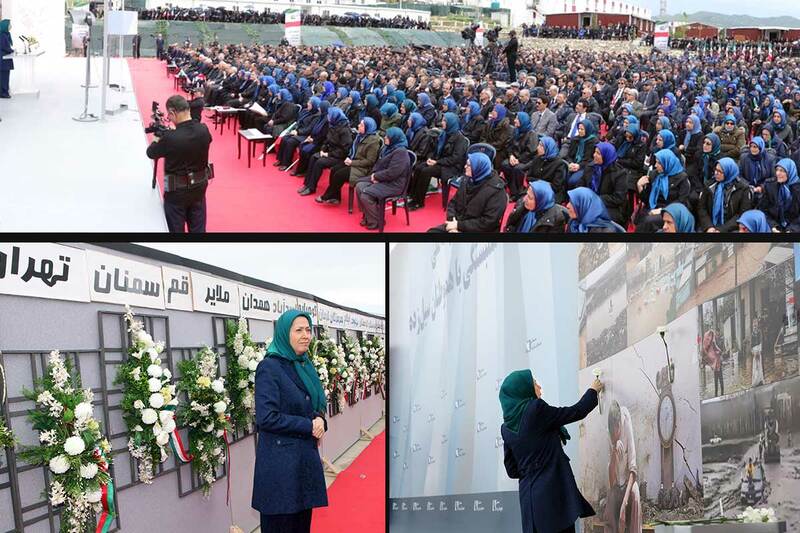 In response to a biased, distorted, and misleading story by Associated Press about the Iranian opposition, a complete rebuttal was provided to relevant editors at the AP on February 5, 2017, but regrettably, the AP has so far failed to correct the many errors and misrepresentations of facts. To set the record straight, here is a brief clarification of facts and some insight on the crux of the matter. The AP story, “Trump Cabinet pick paid by 'cult-like' Iranian exile group,” Feb. 5, 2017, is a rehashing of old and long-debunked allegations aimed at disparaging the principal Iranian opposition group, the Mujahedin-e Khalq (MEK) and its bipartisan supporters. These accusations are not new. 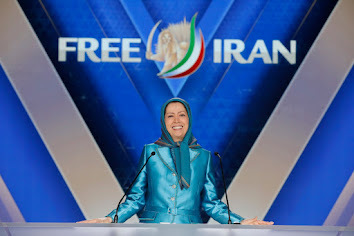 The religious dictatorship ruling Iran and its lobby abroad have tried for years to discredit the Iranian opposition in an effort to proffer the appeasement of the ruling mullahs as a viable policy. Today, the crux of the matter is a choice between a firm policy vis-à-vis the clerical regime as the godfather of international terrorism and standing with the long-held desires of the Iranian people for freedom and democracy. Aside from the loosely-worded and biased tone of the article, the AP reporter in Dubai Jon Gambrell has chosen to ignore facts regarding the conduct and history of the Iranian resistance. Instead of reporting the views of a large bi-partisan lawmakers in both chambers of US Congress, and the decisions by the highest US and European courts which rejected the stale and oft-repeated accusations, he has chosen to rely heavily on only two individuals, both of whom have been proponents of the appeasing the murderous mullahs of Iran. The first is a person with virtually no experience and background on the Middle East named Jeremiah Goulka, the author of the eight-year-old RAND report, and the second is a character named, Ervand Abrahamian, whose public advocacy of appeasing the regime in Iran and his opposition to the delisting of the MEK is well-established. He was among a group of Tehran’s apologists and lobbyists urging the State Department not to delist MeK despite the court ruling. Many independent scholars and experts have published more up-to-date books and studies about the accusations, history, and current conduct of the MEK, none of which was cited in the story. More troubling is the fact that none of the US military officers in charge of the protection of, and day-to-day dealings with, over 3,000 members of the MEK in Iraq, was contacted to verify the veracity of allegations that relate to life at Camp Ashraf. There is a long list of military officers who have testified under oath before Congress about their direct and personal experiences with the MEK members. These officers have unequivocally rejected those allegations as misinformation and propaganda concocted by the Iranian regime’s intelligence services. In its opening paragraph, the article states definitively that the MEK “killed Americans,” “ran donation scams,” and that it is “cult-like.” This type of editorializing falls far short of impartial and objective journalistic standards, which makes one wonder whether ulterior political motives by the “echo chamber” crowd tasked to sell the Iran nuclear deal to U.S. Congress and American public was at work here. In the course of legal challenges in the U.S. and Europe to the MEK’s terrorist designation, it became clear that the notorious agents of the Iranian intelligence services were key sources for Western governments as it pertained to the nature and conduct of the MEK. In their letter to President Trump, the 23 bi-partisan signatories, including former senior US Government officials with significant experience in national security, military, law enforcement, and intelligence, wrote that they had seen and had heard all these discredited allegations, adding, “Iran’s Ministry of Intelligence and Security has for many years impaired the exiled opposition by covertly spreading false and distorted claims through third parties in the West. Other governments like Germany and the Netherlands closely monitor Iran’s influence operations on their soil; a thorough counter‐intelligence investigation by the US is clearly needed and long overdue.” If the USG did investigate Iran’s influence operations in the US, no respectable media outlet would ever again run such a story. Most importantly, the US Government revoked the MEK’ FTO designation after it acknowledged that it had no evidence of the group’s involvement in terrorism. The State Department had been ordered to provide any such evidence by the second highest court in the United States. The U.S. Court of Appeals for the District of Columbia Circuit warned the Secretary that it would delist the MEK itself in the absence of such evidence. Following a thorough review of both classified and unclassified documents, the Lord Chief Justice of England and Wales, described the UK government’s designation of the MEK as being “perverse” and “unlawful.” In France, following an 11-year investigation into the conduct of the MEK, a French investigative magistrate ruled that the conduct of the MEK in Iran and in Camp Ashraf, Iraq, amounted to legitimate resistance against tyranny and not terrorism. AP has chosen to ignore all these findings by the courts. It has been proven beyond a shadow of doubt that the MEK was not in any way involved in the death of US military officers and Pentagon contractors who advised and assisted the Shah’s military dictatorship nearly half-a-century ago. Not just the MEK, but the State Department and well-respected Iran experts have acknowledged this fact. It is surprising that the AP has failed to mention them. Several independent studies have concluded that the MEK had no role in those assassinations. The letter by 23 senior former officials, which AP referenced, includes supporting documents refuting this allegation. Regarding the allegations cited from the RAND report, suffice it to say that this litany of lies and distortions was debunked not only by a detailed report which an independent, security-research firm compiled shortly after the publication of that report, but also by active-duty officers of the United States military, charged with the protection of Camp Ashraf from 2003 to 2009. Indeed, as reported by the New York Times in 2004, a 16-month investigation by seven different US agencies, including the Departments of States, Defense, Treasury, Justice, the FBI, the CIA, and the DEI, “found no basis to charge any member of the group with the violation of American law.” Moreover, U.S. military commanders testified before Congress that the MEK never engaged the US forces during the invasion of Iraq. Last but not least, “The local cease-fire agreement of mutual understanding and coordination” signed between the United States military and the MEK in April 2003, makes it clear that the MEK had not fired a single bullet against U.S. forces in Iraq. In fact, for over three-decades, bipartisan majorities in the US House of Representatives and a very large group of bi-partisan Senator have lent their unequivocal support to the MEK, describing it as a “legitimate resistance movement,” despite being fully aware of these stale and threadbare accusations. They described the US policy, which had distanced itself from the pro-democracy movement in Iran in hopes of cultivating the non-existent moderate elements within the Iranian regime, as being “wrong-headed.” This remains to the be the single most important deficiency in the US policy that has spanned for nearly four decades with dangerously disastrous consequences. The AP story also fails to refer to what the MEK has done to expose the Iranian regime’s terrorism and reveal the Iranian regime’s major nuclear sites, which triggered the International Atomic Energy Agency’s (IAEA) inspections of the uranium enrichment facility in Natanz and Heavy Water Facility in Arak in 2002 for the first time. Since then, the majority of the visits by the IAEA inspection teams have been to the sites first uncovered by the MEK. Interestingly, in a press briefing at the State Department on September 12, 2016, then-Secretary John Kerry said that the complete relocation of the MEK from Iraq to Europe “concludes a significant American diplomatic initiative that has assured the safety of more than 3,000 MEK members whose lives have been under threat.” And in his farewell speech on January 19, 2017, Secretary Kerry added: “And one of the things that I am very proud of is the effort we made – I remember going to hearing after hearing, and you remember all those folks you’d see up there in those yellow jackets representing the Mujahedin-e Khalq– MEK as we’ve known them – and we got 3,000 of them out of Camp Liberty and to places where they are safe and their lives are saved from being attacked regularly, as they were.” The State Department officially thanked the American dignitaries, whose reputation was attempted to be tarnished, for their positive role in transfer of MEK members to outside of Iraq. Why would the US Secretary of State and his Department undertake such a massive effort to save the lives of members of a “cult-like” group that has been engaged in “terrorism” and “killing Americans” in the first place, if they believed such allegations were true? The second US President John Adams said, “Facts are stubborn things; and whatever may be our wishes, our inclinations, or the dictates of our passions, they cannot alter the state of facts and evidence.” The Associate Press and other prospective “echo chamber” experts and journalists should heed his apt advice.